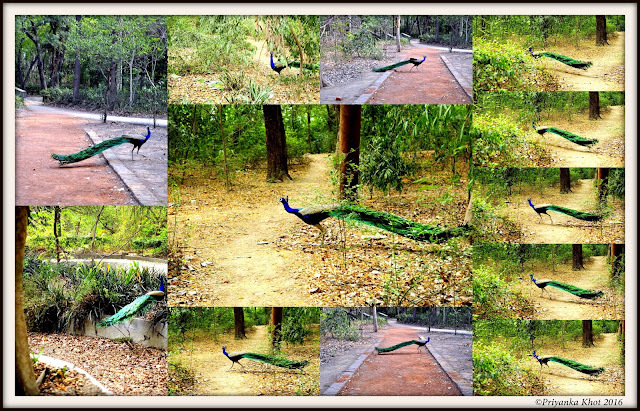 We began the weekend with an early morning trip to the Deer Park at Hauz Khas. Even when the mercury in Delhi is hitting the 45 degree Celsius mark, the park was a pleasant oasis in at 7 in the morning. However, it was a peacock that I chased for the better part of the stay in the park in the hope of a good enough photo-op. This is what I managed. My obsession with owls and photography continues. Here is a picture of one of my favourite diffusers at home. I tried my hand at a little bokeh effect. On one of the last winter mornings, kissed by clouds that brought rain just minutes later, a group of us went to Sultan Garhi to go shutter crazy. I went on one of these walks after a gap of almost 2 years. The time spent in the dead man's tomb was worth all the effort of having an early Friday night and waking up early on a Saturday. Here are the captures from this morning. Delhi means a lot of things to me. It means life and love and home. The city has jewels hidden in all its crevices and corners. The one jewel that is very close to my heart is the Dargah of Nizamuddin Auliya. I don't claim to know any of the customs that are followed here or even the way to the main area of worship. But I still like to cover my head once in a while and go to the Dargah to listen to the Qawals. Here are some snapshots from my last visit.